Our Appliance Repair Salt Lake City Utah professionals are the best in the business. We specialize in repairing all types of damage, and stock parts for the most popular makes and models. Famous Appliance Service always strives to complete its repairs as quickly and cost effectively as possible. The parts that we use to perform our repairs are always of the highest quality. Our appliances make our lives much easier, and when they break down, it can be a serious disruption. We always strive to get your devices back up and running as quickly as possible. It is often much less expensive to repair an existing appliance than buying a whole new one. Whenever possible, we recommend this option to our customers. Our expert technicians are held to a high degree of proficiency standards, and are constantly trained to stay up-to-date. Some of the most commonly used appliances in the home are found in the kitchen. Many of these devices are also very expensive to replace if they break down. Ranges are some of the most durable appliances in the home. To ensure that they have a long life and efficiency, we recommend using high quality cookware that heats evenly, as to not cause damage to the system. Using one single pan to do your cooking can save a large amount of electricity and money. This also allows the system to work less hard, extending its service life. When cooking in the oven, especially in electric models, one can turn the device off a few minutes before your food is done. The ambient heat will continue to cook the food inside. 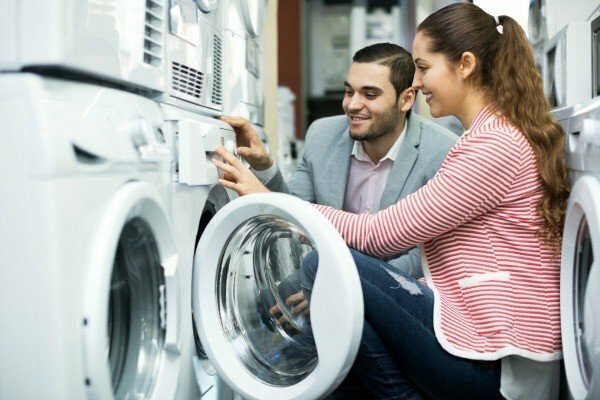 Washing machines and dryers make our lives much easier. These devices often break down, and can even damage property when they do so. It is important to have your appliances looked at by a professional to ensure that they are safe and working properly. Washing machines often leak water, which can damage walls and surfaces. If left for too long, mold and fungus can make the interior spaces hazardous. Washers that are not working properly also do not get cloths as clean. Dryers that are caked with debris and lint can actually catch fire. This is why the lint screen must be changed before every load. Dryers expose flammable materials to large amount of heat, while having the moisture removed from them. This is why there is a potential for fire. If you are having any problems at all or need refrigerator repair in Salt Lake City, please do not hesitate to call our Salt Lake City appliance repair technicians.